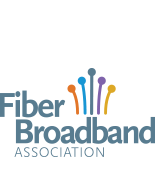 The following statement can be attributed to Heather Burnett Gold, President & CEO of the Fiber to the Home Council Americas. The Federal Communications Commission is faced with a choice – whether to continue its policies that have resulted in increased supply and falling prices for critical all-fiber access for high capacity business data services (BDS) or to impede this infrastructure deployment by wrapping it in investment thwarting regulatory red tape. The FCC’s own notice in this proceeding found that for above 50 Mbps – BDS “competition is present…in many circumstances”. In support of this premise, the Council is submitting additional data as part of its filing. Since all-fiber networks are new deployments in most instances, no provider has an inherent advantage in providing fiber-based services. Further, because all-fiber networks are critical infrastructure for the provision of high performance BDS to commercial and institutional customers, mobile and fixed wireless providers, and wholesale carriers, the Commission should be attempting to facilitate (rather than erect barriers to) investments by providers to deploy these networks.